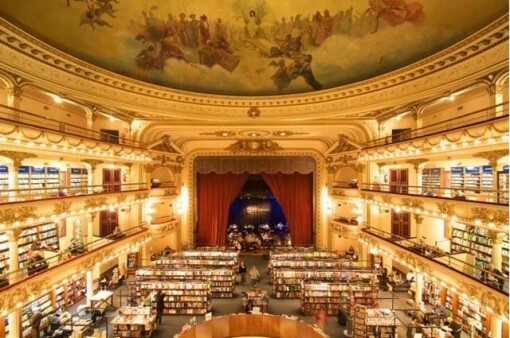 Many consider the El Ateneo Grand Splendid bookstore in Buenos Aires — which is located in a former theater — one of the most beautiful bookstores in the world. BUENOS AIRES: In 2007, only 3% of the books were published in that digital formats in Argentina. In 2012, the figure rose to 17.19%. Accordingly, some say bookstores are an endangered species, that soon they won’t be needed, that the Internet will end up taking away their business. But booksellers in Argentina are in good health. So much so, that they are considered something of a tourist attraction and are often featured in guidebooks and on tours. Argentina’s book business remains robust, having sold more than 50 million books in 2012, worth an estimated revenue of $535.7 million. According to the Cultural Information System of Argentina (SINCA), the country’s 2,256 bookstores are responsible for 80% of total book sales, with sales equally divided between hundreds of independent bookshops and a few large chains. Yenny–El Ateneo is the largest chain in Argentina, with 45 stores, plus two more in Uruguay. Others, such as Cúspide, Distal and Santa Fe, bring the total number of chain store branches to 120, giving them to reduce costs and distribute with ease across the vast Argentine landscape. 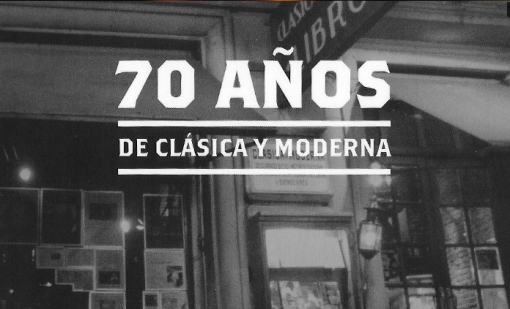 Clásica y Moderna bookstore has been open for more than 70 years. So how does an independent bookstore survive or even thrive? For Poblet, a great example of “the bookseller we all dream to be” is Héctor Yánover. He founded Norte, now run by his daughter Debora. “No chain can stop a bookshop like that one,” says Poblet, for whom the greatest virtue of the local book business is its diversity. Sunk costs—including rent, salaries, and supplies—are on the rise and represent the main threat to the sector. However, bookstores in Argentina have one advantage: in January 2002 following the worst economic crisis in the country’s history, the government passed Law 25.542, better known as the “Defense of the Bookstore Activity” act, which established a fixed book price law. This institutional initiative, passed primarily to protect independent bookstores, was an aim of the Argentine Association of Stationary and Bookshops (CAPLA). The law, which ensures that a book is sold at the same price in any bookstore and at any time of the year, has helped to sustain editorial diversity — especially for specialized books—and facilitates the payment of copyrights. Book prices may be discounted only eighteen months after their release, or if the publisher puts them out of print. Unlike tango and “dulce de leche,” this law is not an Argentine invention. There is a successful history of fixed book price law initiatives around the world, from the now defunct Net Book Agreement in the UK, to France’s Lang Law and Spain’s Book Law. Of course, there are dissenting voices that argue that this kind of rule interferes with the free market. The debate is likely to be fostered by the evolution of ebooks and digital publishing: the number of books published in digital format in Argentina has increased six-fold since 2007. And, as we all know, what is good news for the digital publishing market is potentially bad news for bricks-and-mortar booksellers. After all, if online sales increase, the need to visit a bookstore is reduced. Both large chains and independent bookstores have come to see online sales as a new, inevitable reality. Several already sell ebooks. “The emergence of digital books stirred the waters. Coping with this turmoil takes a while to adapt, but publishers and booksellers have to accept that change is here to stay; there’s no turning back,” says Poblet of Clásica y Moderna. The survival of independent bookstores is not a national issue, but it is an important one.“What is going to keep writing alive in this country are the independent bookstores. We need them so desperately. If the people who sell books don’t read books or know anything about them, then it all evaporates” wrote Paul Auster in The Bookstore: The Life and Times of Jeannette Watson and Books & Co. Auster was quoted by Ernesto Skidelsky in an open letter to Argentine independent bookstores when he was forced to close of one of remaining branches of the bookstore chain which he co-founded, Capítulo 2. Today, Skidelsky maintains only one store, in the neighborhood of Palermo; instead much of his energy is focused on his other bookselling project — BajaLibros—a fast-growing ebookstore. 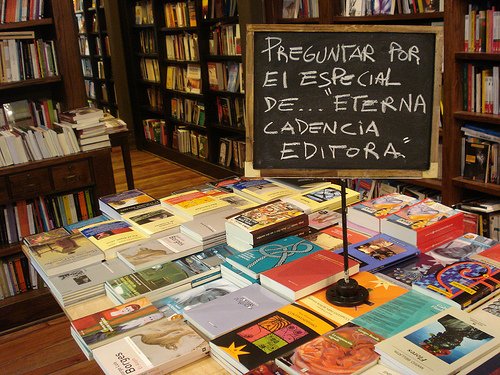 The truth is that Argentine booksellers own a vocation that distinguishes them. In the words of the legendary Héctor Yánover, the founder of Norte,: “A bookseller is a person who reads when resting; reads book catalogues when reading; stops in front of other bookstores when walking; visits booksellers and publishers when traveling to another city, another country.” And those who will always stand out are those who have the conviction that — as Yanover wrote in his memoirs of a bookseller — “who enters a bookstore, enters a temple.” And there the booksellers are still their priests.